Sunderland vs Liverpool Live Streaming Info: BPL 2015 Live Score, Football Match Preview – 30th December: It is the last match of the Barclays premier League before we head on to another new year that 2016 and may the new year bring happiness to all. 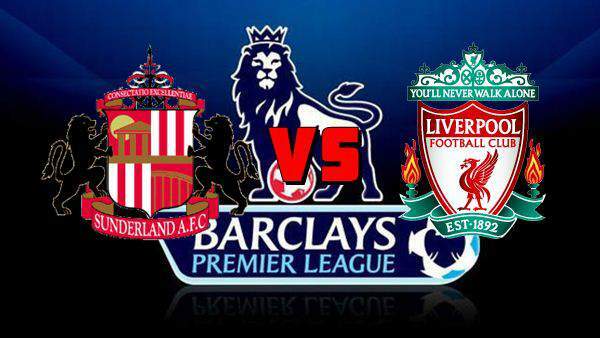 So moving on we get on the main subject that is Sunderland hosting Liverpool at the Stadium of light for their 19th match day fixture. Sunderland are in the relegation zone as of now and have shown no sign of improvement in their recent games so as to give some hope to their fans. They are 19th on the table with 12 points in the 18 games played, five below Newcastle United and four above Aston Villa. Liverpool are in a very great form as they beat the league leaders Leicester City by 1-0 and are currently 10th on the table with 27 points on the table, two below Stoke City and one above Everton. 31st December 2015 at 01:15 IST. Sunderland are in deep trouble as their ever decreasing form has led to a situation from which getting out is looking impossible for them and they are doing nothing about it, they have lost twelve, drew three and won three in the 18 games played till now in the league and their recent form have been very bad. They have lost four, against Arsenal by 3-1, against Watford by 0-1, against Chelsea by 3-1 and against Manchester City by 4-1 and won once against Stoke City by 2-0. They played against Manchester City in their last game in the league and lost by 4-1 as City was up 4-0 in the 54th minute. Borini was able to score one in the 59th minute but it wasn’t enough as Sunderland lost by 4-1. Liverpool have started to get back in form but still has to work hard a lot if they want to finish in that top four which is not that difficult this time as the competition is high this time. If they win today they will by seventh on the table with just five points from the top four and with 17 games remaining after this one anything can happen. They have won twice, lost twice and drew one in their last five matches in the league. They played against Leicester City on the boing day and won by 1-0 in match mostly dominated by Liverpool. Mannone, jones, Coates, O’Shea, Patrick, Johnson, M’Vila, Jordi, Graham, Fletcher, Borini. Mignolet, Clyne, Lovren, Sakho, Moreno, Henderson, Can, Lallana, Firmino, Coutinho, Origi. Liverpool should win this as they are much stronger and are high in confidence.